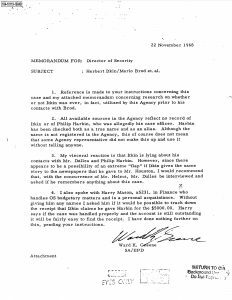 The AARC presents a new feature relevant to our continuing acquisition and dissemination of significant documents and files. 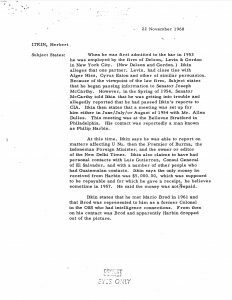 Left click on images to expand OR, right click and select View Image. 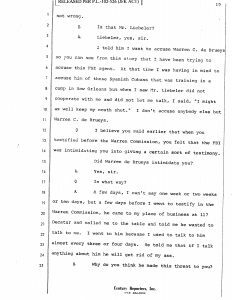 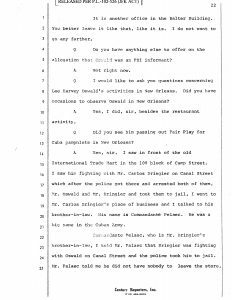 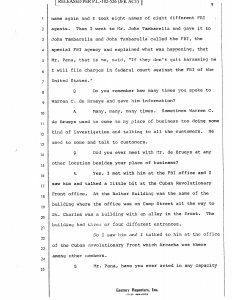 16 January, 2018: Agency Mafia penetration: Mario Brod, Herbert Itkin; joint FBI CIA coordination in NY; James Angleton’s long time links with organized crime. 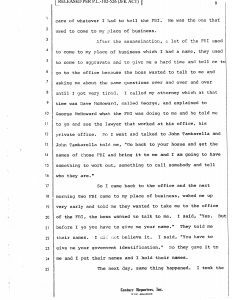 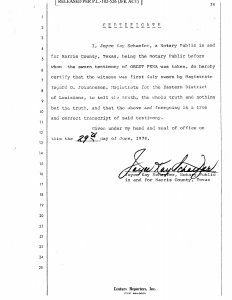 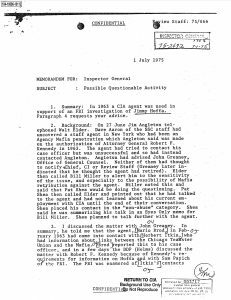 Memo for the Inspector General dated 1 July, 1975 stating that, according to James Angleton, in 1963 Attorney General Robert F. Kennedy authorized an Agency Mafia penetration. 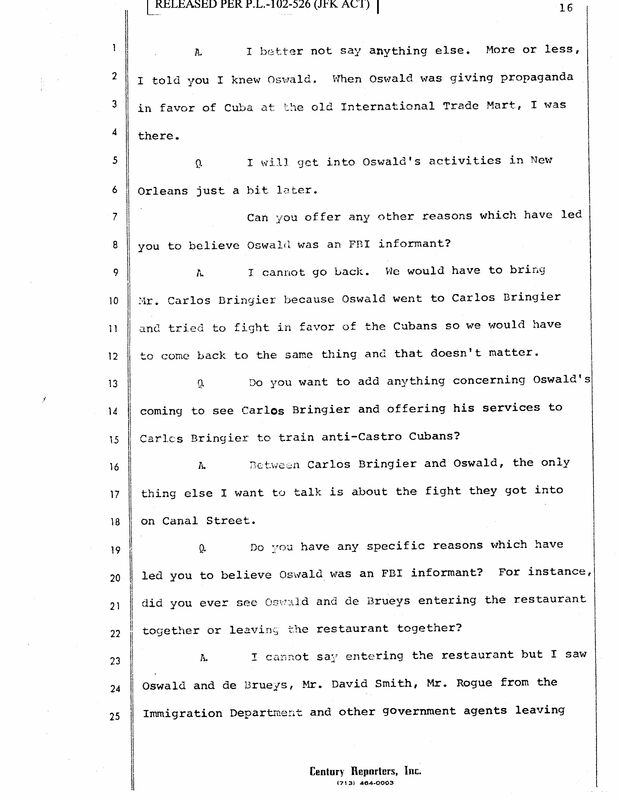 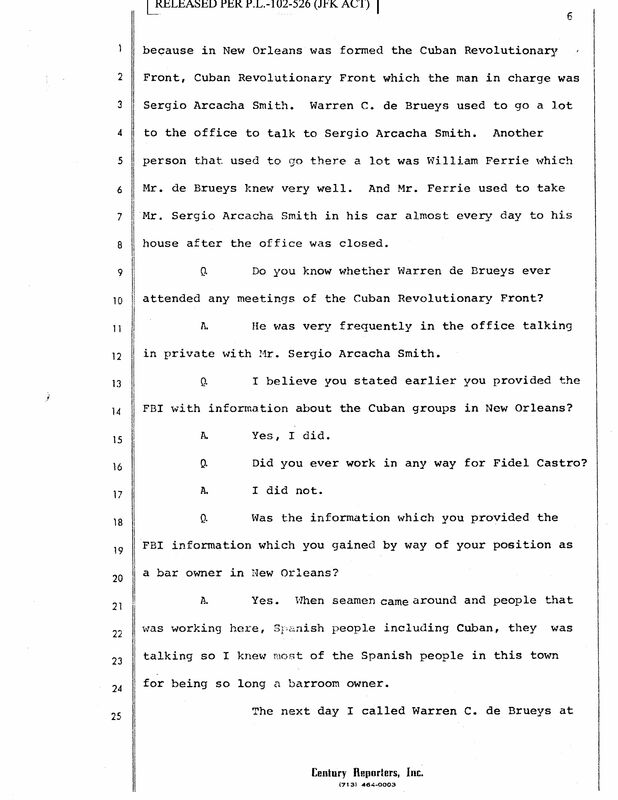 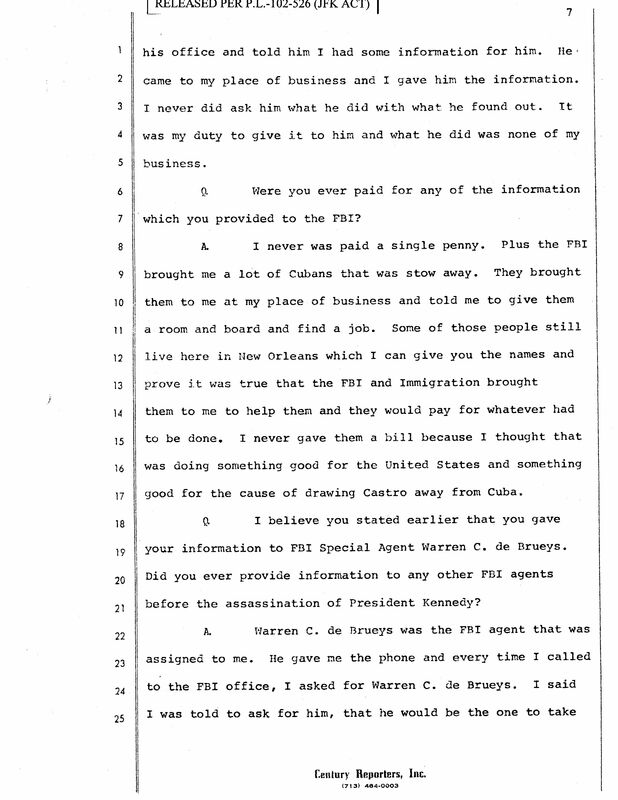 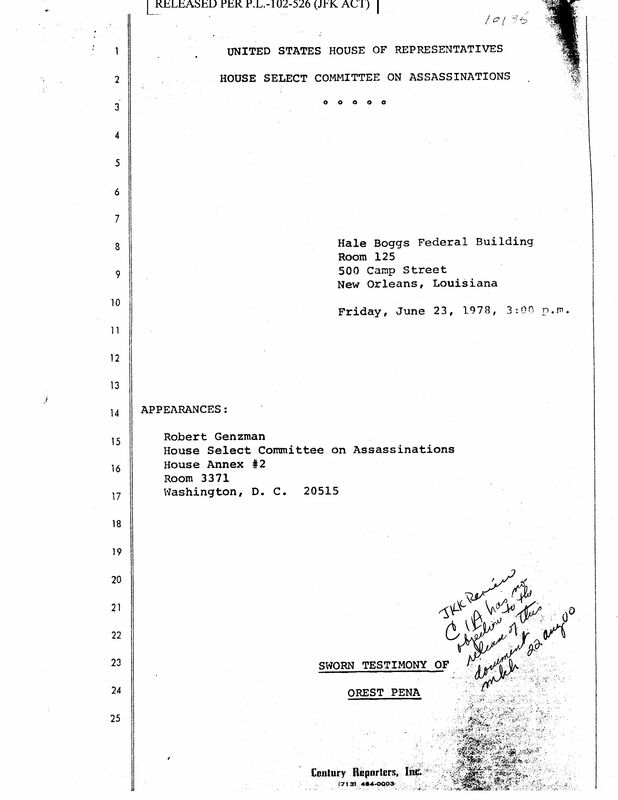 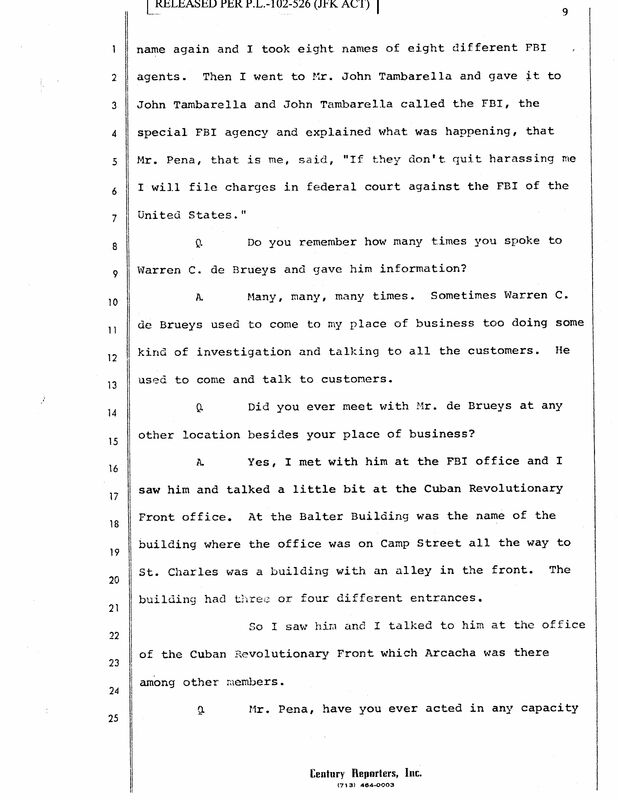 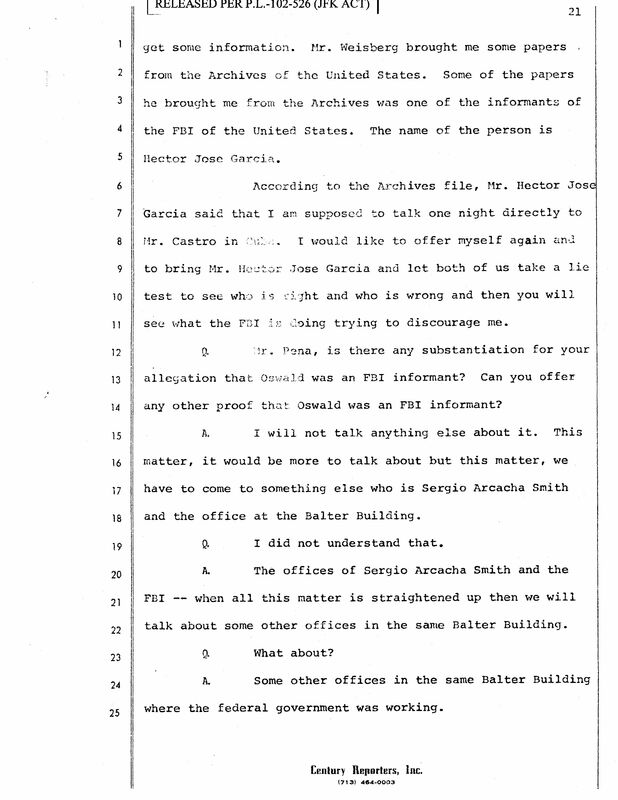 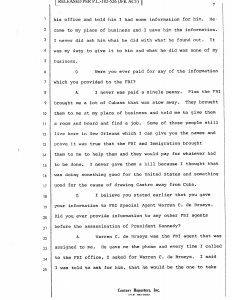 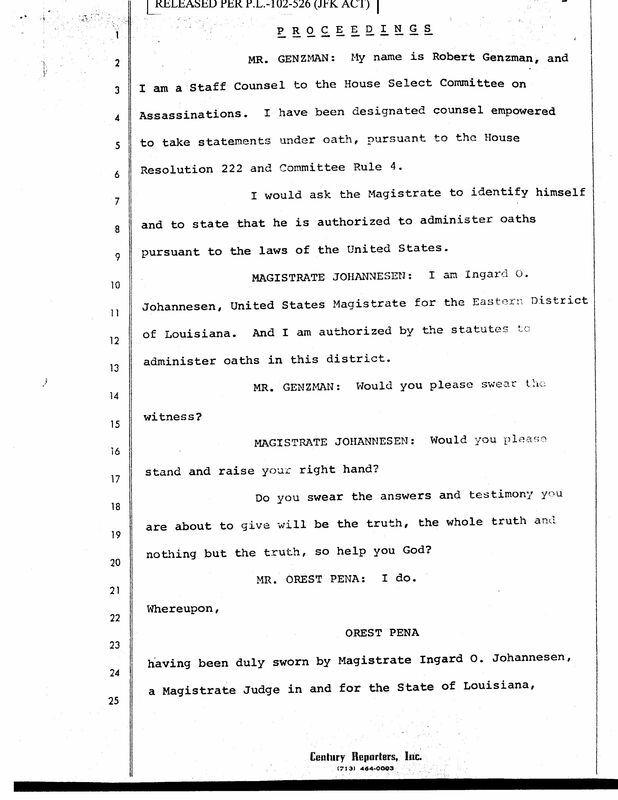 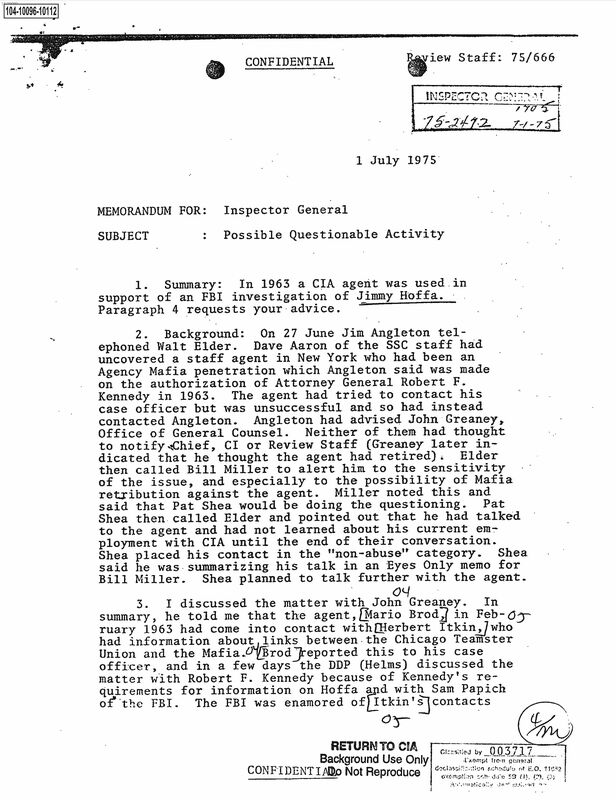 The document includes the following: 1) a CIA agent was used in support of a 1963 FBI investigation of Jimmy Hoffa; 2) a link is introduced between the agency and organized crime; 3) reference is made to James Angleton’s activities as a recruiter in Italy during WW II; 4) reference to questions about details regarding a joint FBI-CIA operation as being run in New York; 5) Agency operational involvement in Haiti; 6) reference to a connection between the Chicago Teamsters Union and the Mafia which is allegedly reported to RFK as it relates to Jimmy Hoffa; 7) Ray Rocca is mentioned as having prepared a full book on the Itkin/Brod case although they are mentioned only in pseudo; 8) Scott Breckinridge, OLC, is described as having not seen the “black book” (of which we have no record) and claims that he was unaware of the Brod-Mafia link prior to June, 1975. 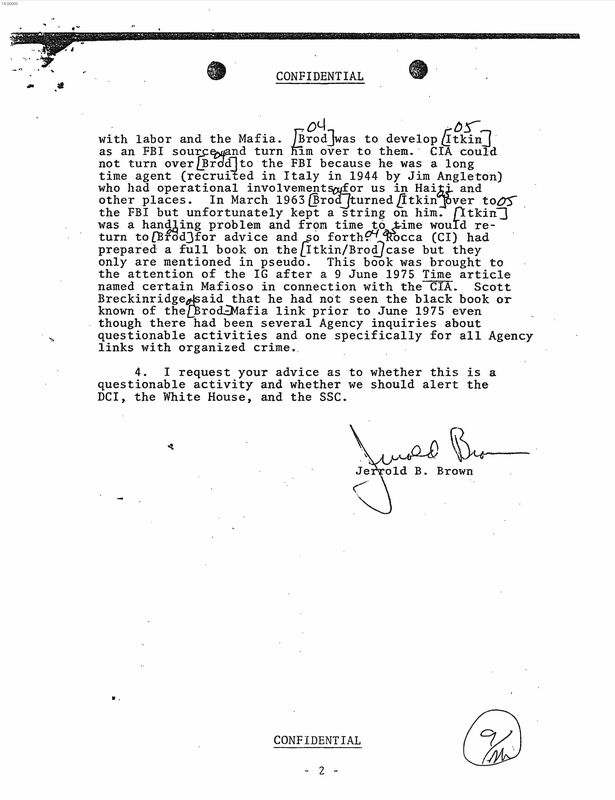 The memo concludes with a request for “advice” as to whether the information contained therein might include “questionable activity” and whether the chain of command (DCI George H. W. Bush), the White House (President Gerald R. Ford), and the SSC (Senate Select Committee to Study Governmental Operations with Respect to Intelligence Activities — The Church Committee) should be alerted. 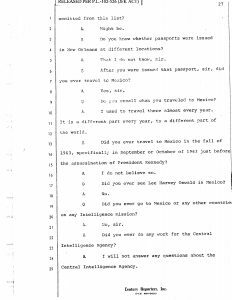 As of this posting, we do not have subsequent documentation to know the answers to those questions. 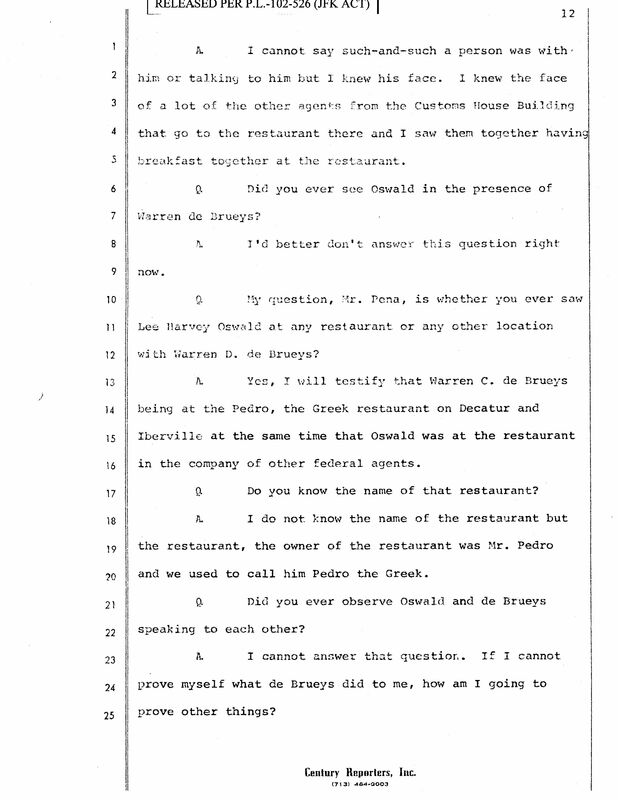 Related: From 22 November, 1968: Herbert Itkin/Mario Brod, et. 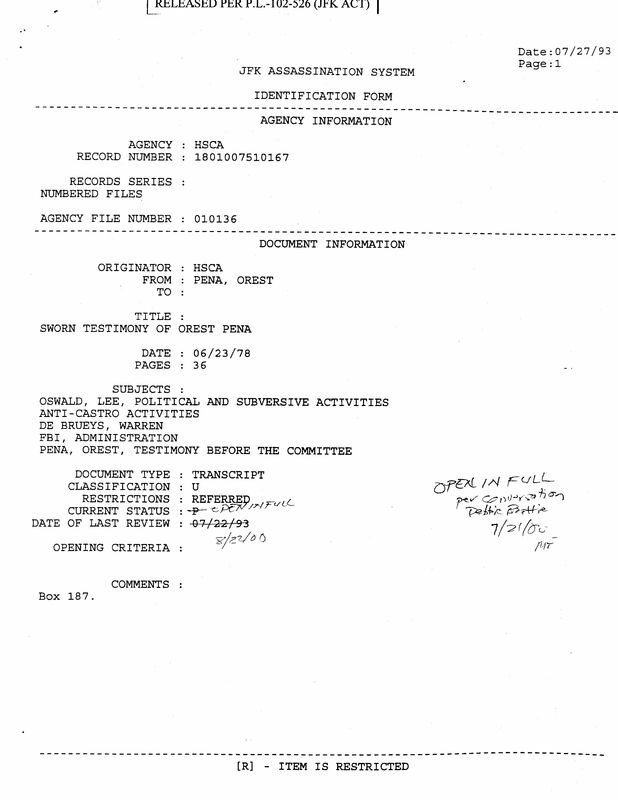 al. 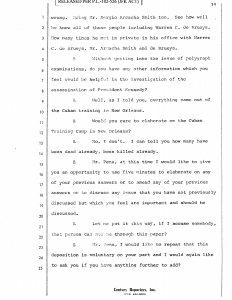 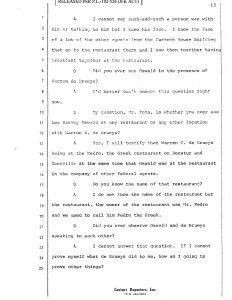 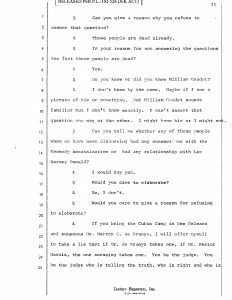 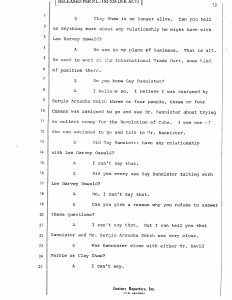 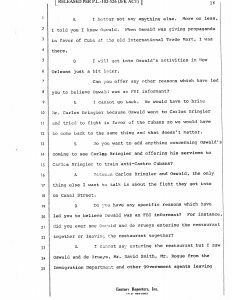 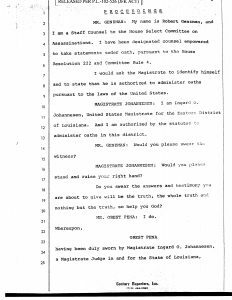 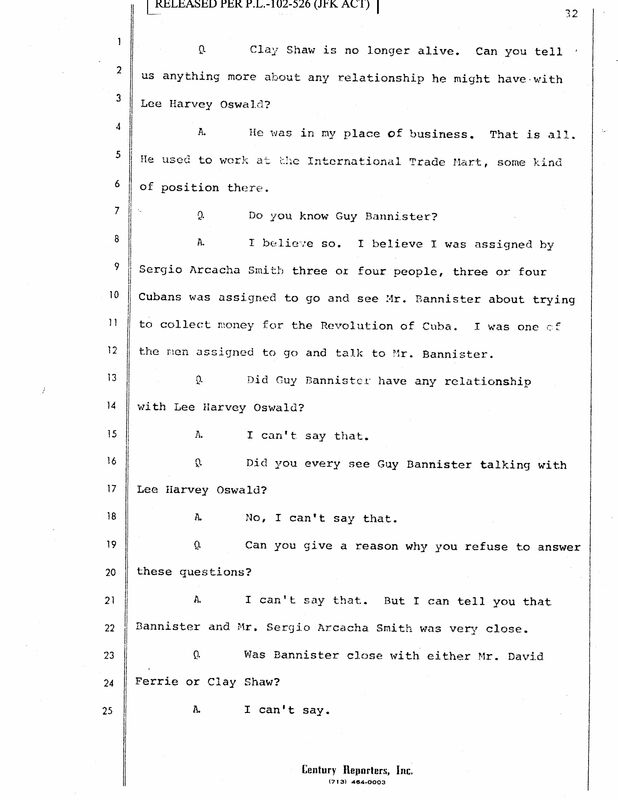 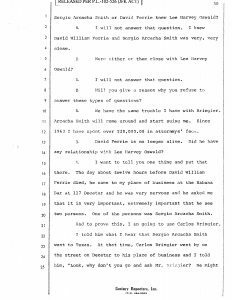 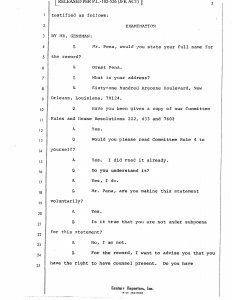 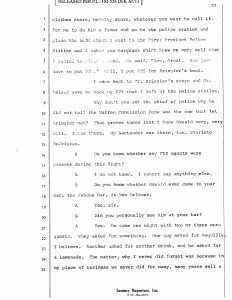 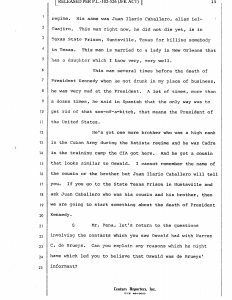 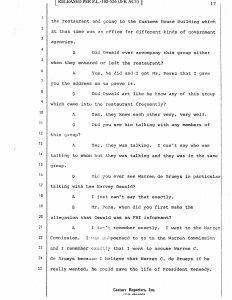 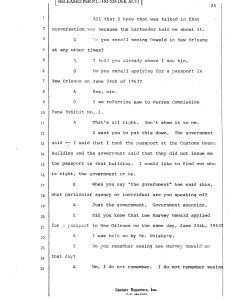 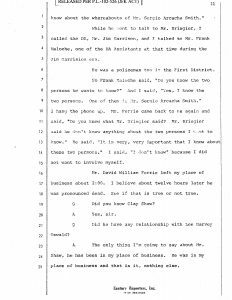 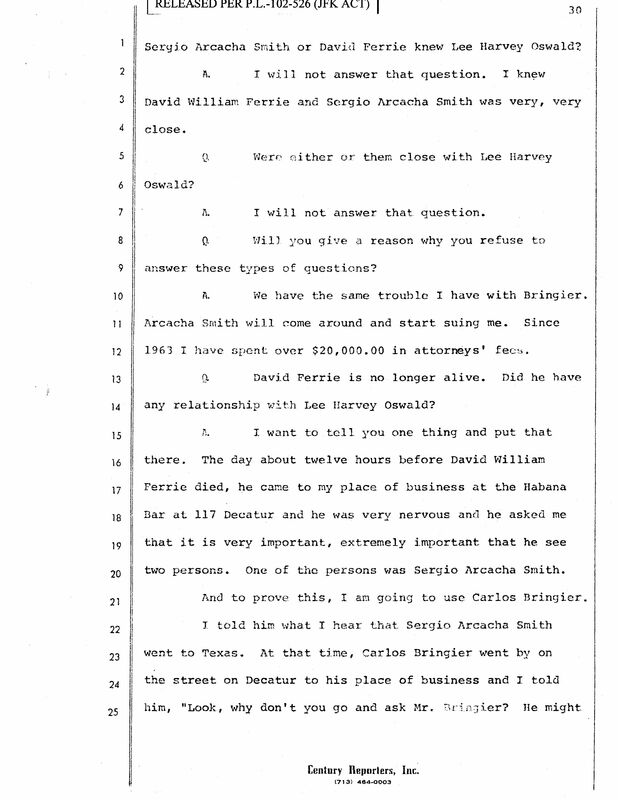 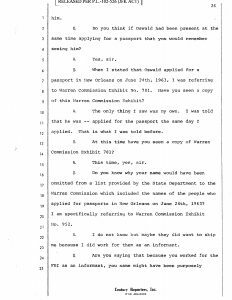 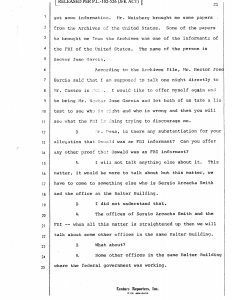 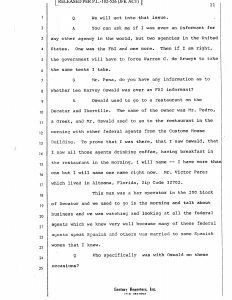 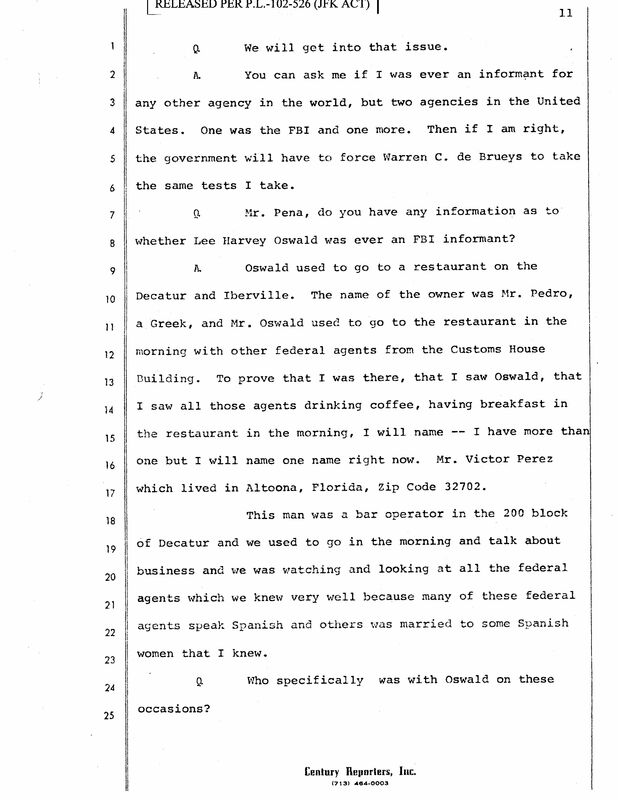 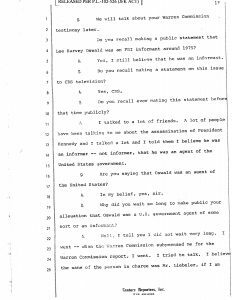 13 December, 2017: Courtesy of Dr. David Kaiser, an important 1978 deposition to the HSCA released to the National Archives in the year 2000 through the efforts of researcher and AARC Board member, Malcolm Blunt: HSCA 180-10075-10167 SWORN TESTIMONY OF ORESTES PENA 06/23/78. 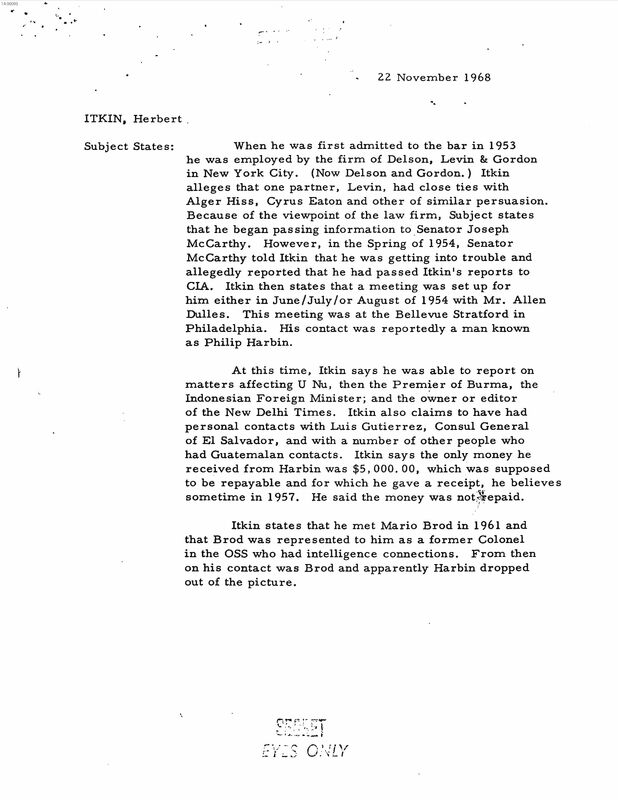 LEFT click on image to expand. 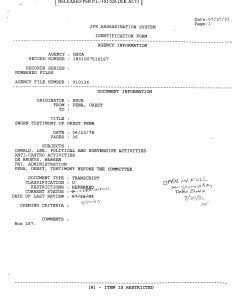 27 November, 2017: CIA documents 104-10014-10056 and 104-10014-10061 released 9 November. 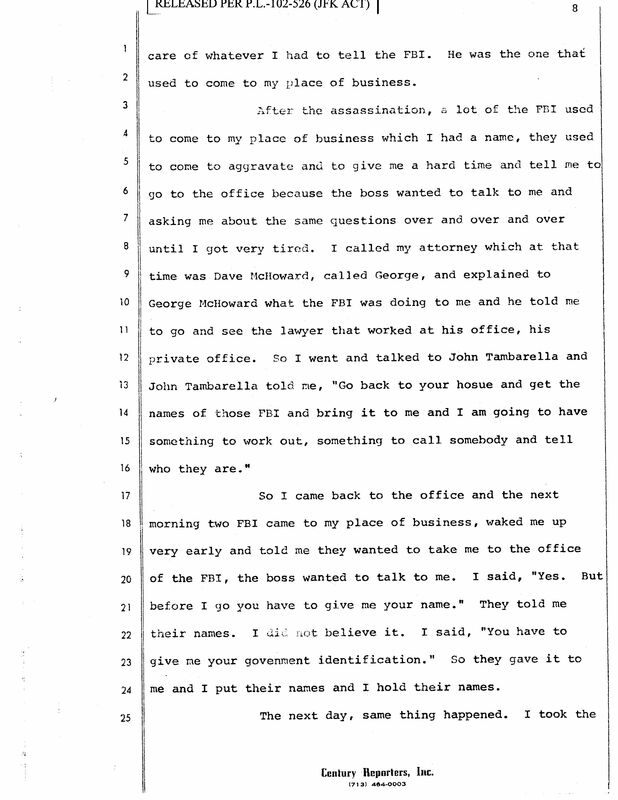 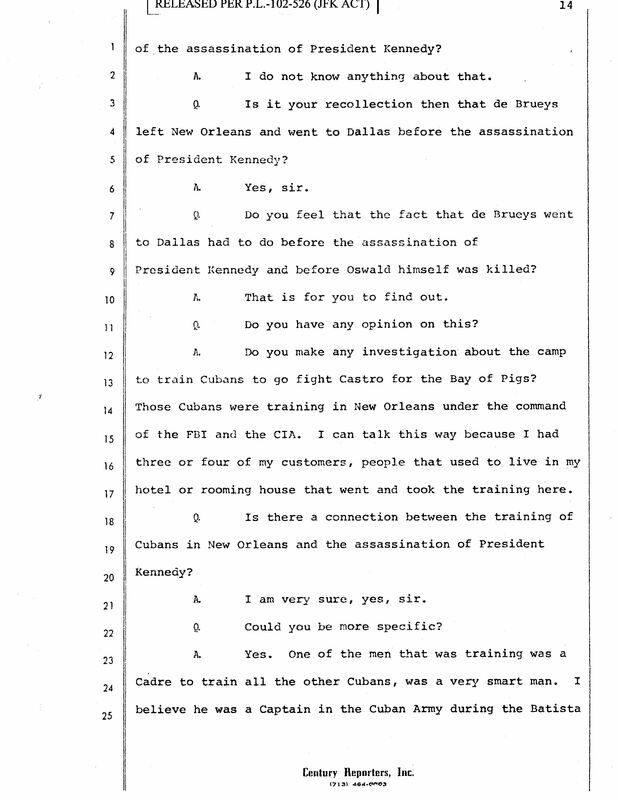 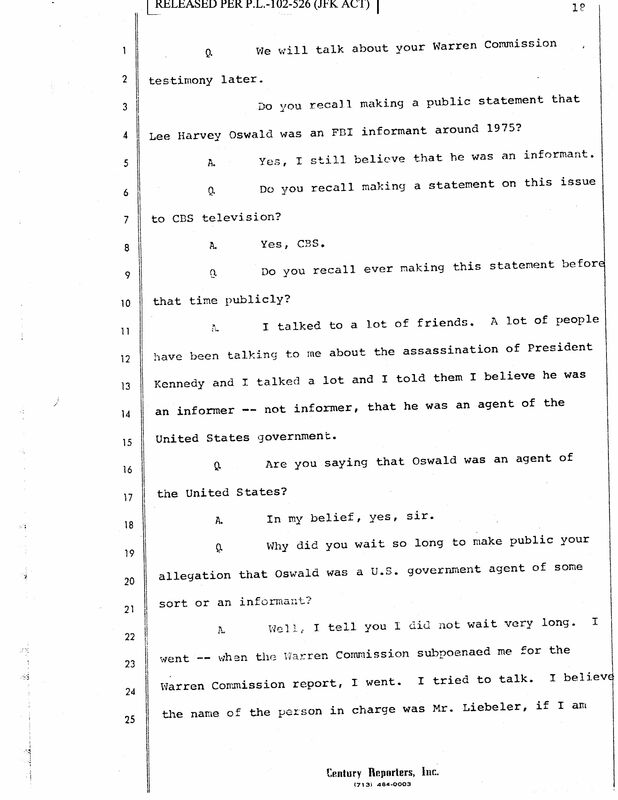 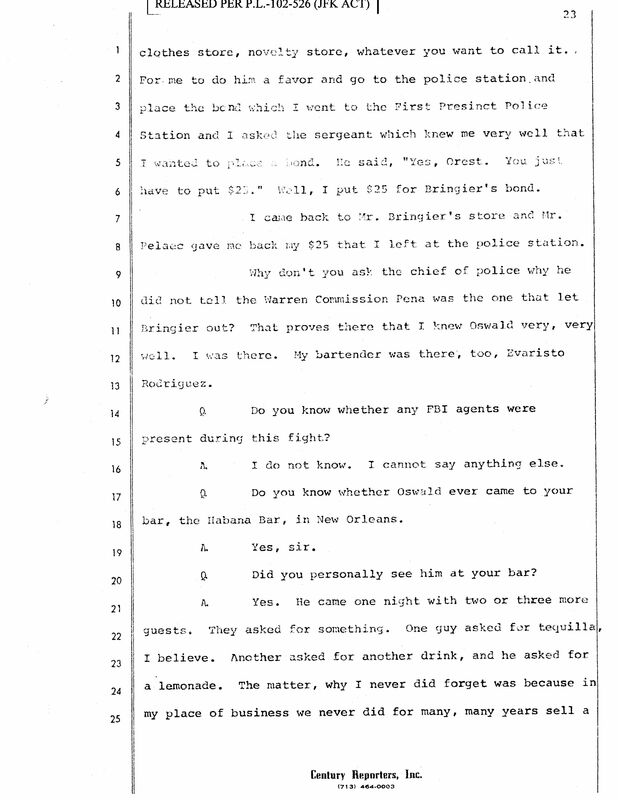 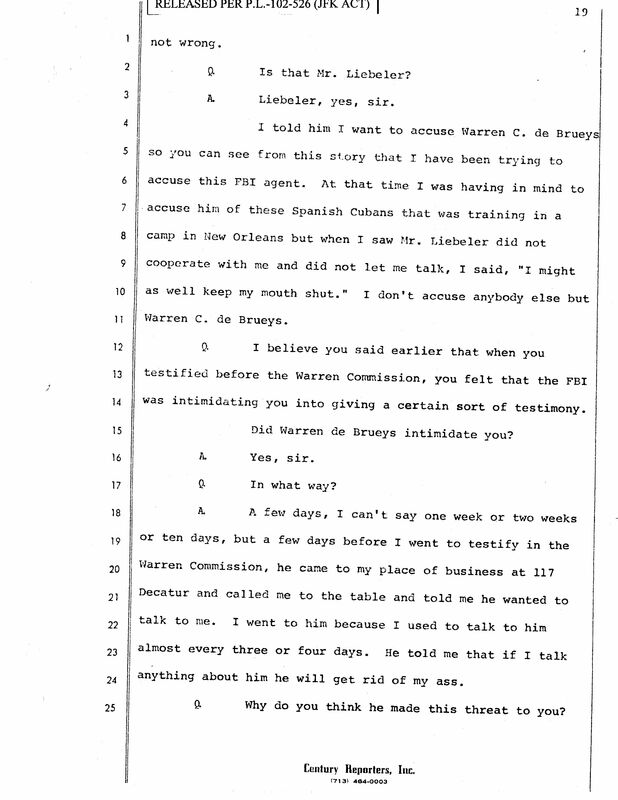 20 November, 2017: FBI document which describes an IRS informant for the Dallas office who alleged that prior to the assassination of President Kennedy, Jack Ruby asked if he would, “like to watch the fireworks?” The informant claimed to have been with Jack Ruby at the corner of the Postal Annex Building facing the Texas School Book Depository at the time of the assassination. 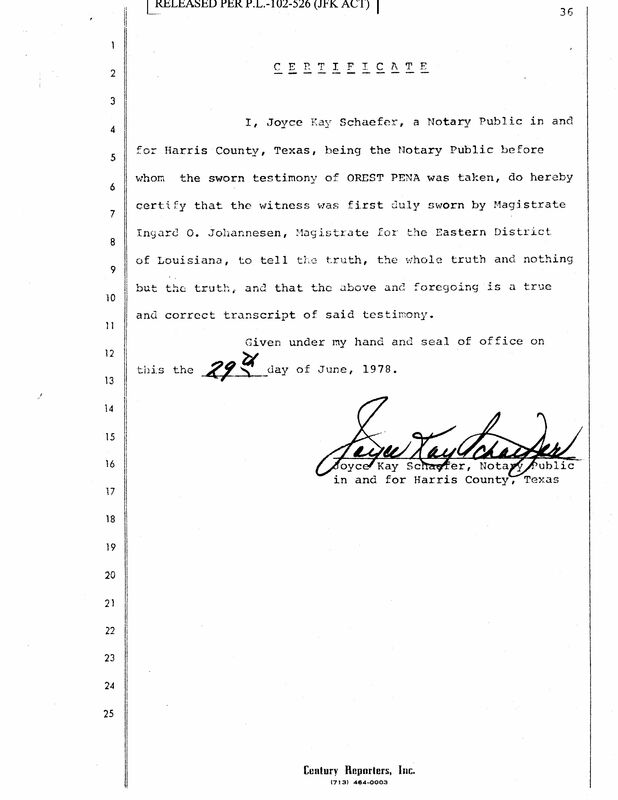 The subject of Jack Ruby has been addressed by many authors including Pulitzer Prize winning journalist, Seth Kantor. 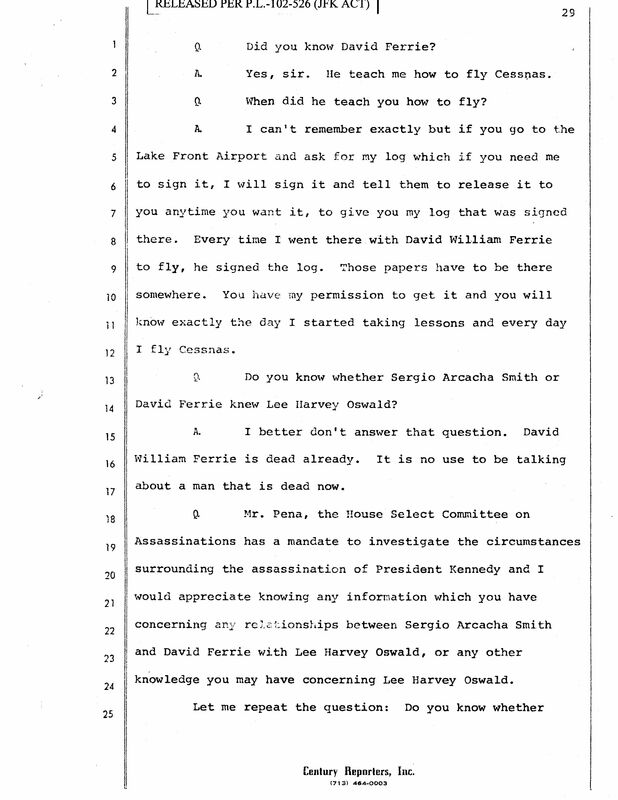 DOWNLOAD the entire 19 page document HERE. 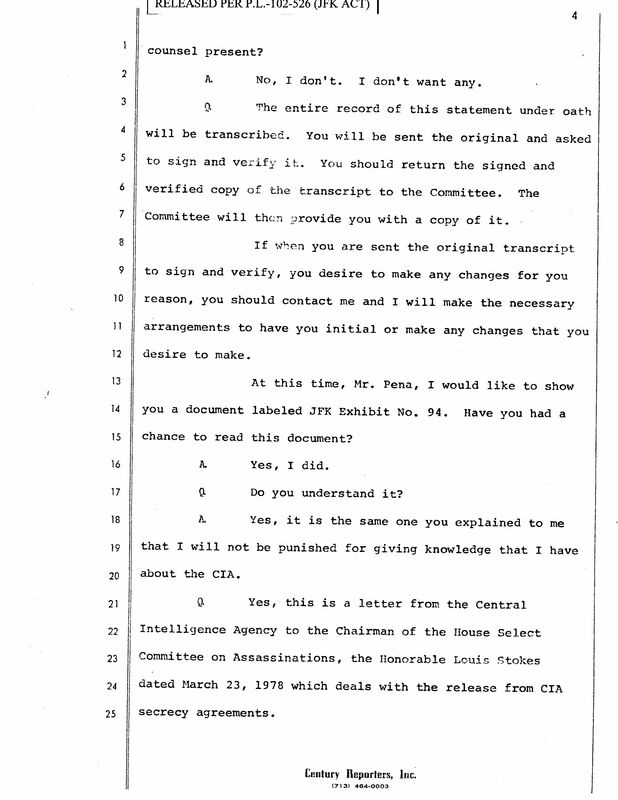 7 November, 2017: STATEMENT OF ROBERT M. GATES, DIRECTOR OF CENTRAL INTELLIGENCE BEFORE THE COMMITTEE OF GOVERNMENTAL AFFAIRS, U.S. SENATE, 12 MAY, 1992 [Incomplete draft copy with annotations, 5/6/92] Director Gates expresses his views on The Assassination Materials Disclosure Act of 1992, describes the nature of assassination related documents held by the CIA, and declares his support of efforts to declassify and make available to the public as quickly as possible government documents relating to the assassination of President John F. Kennedy. 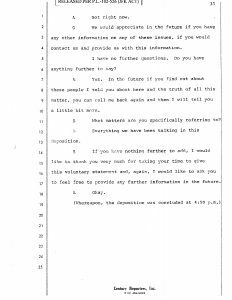 12 October, 2017: Memo for the Record, Scott Breckinridge, OLC, on his telephone conversation with James J. Angleton, 24 November, 1978. 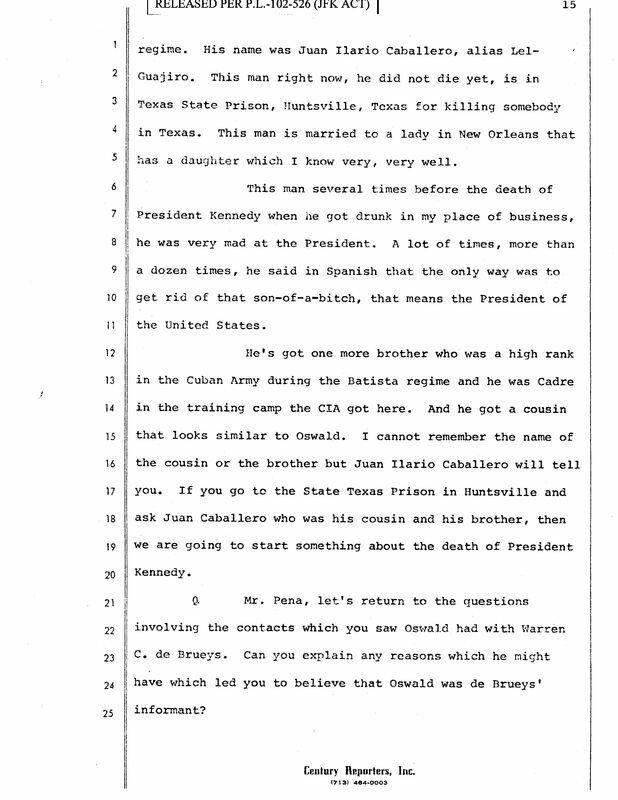 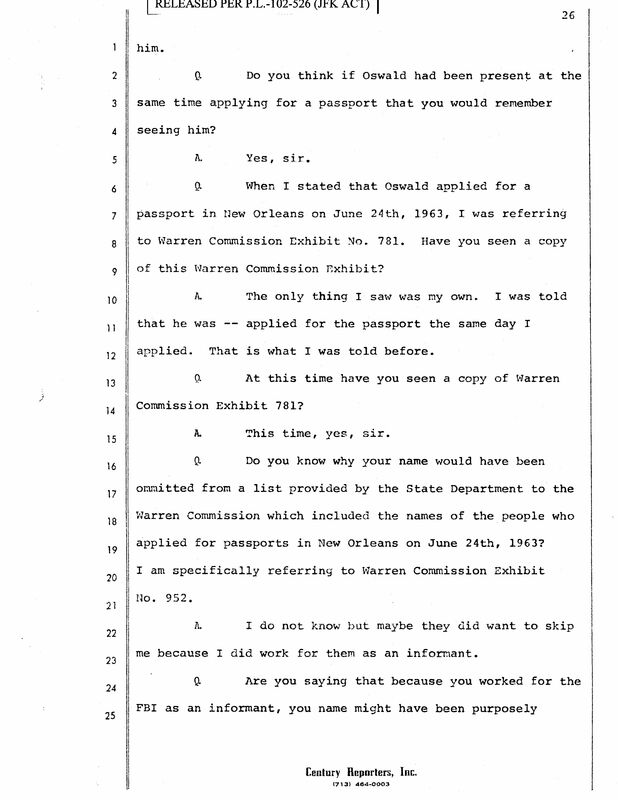 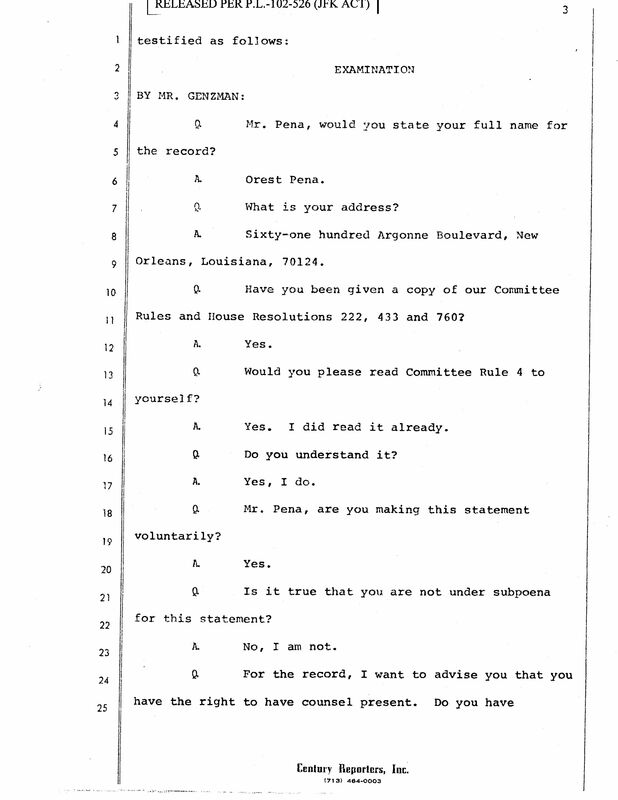 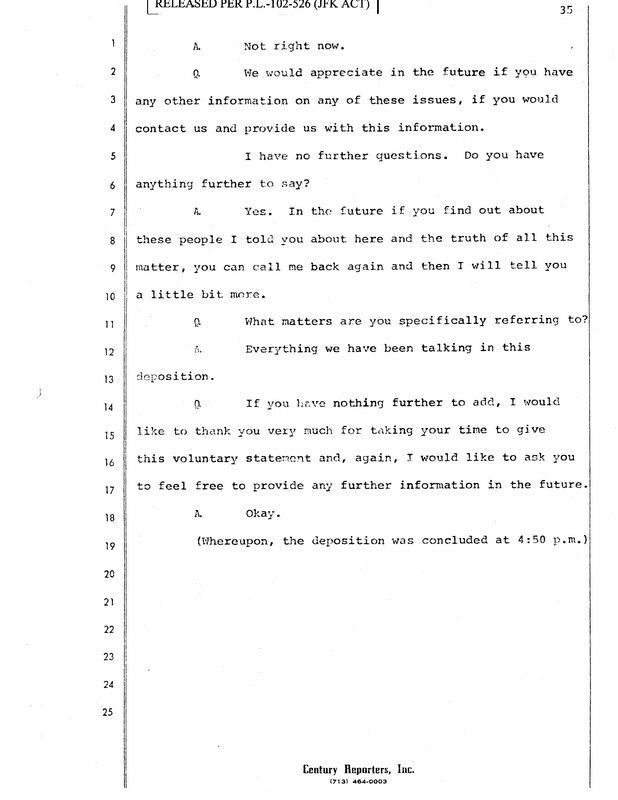 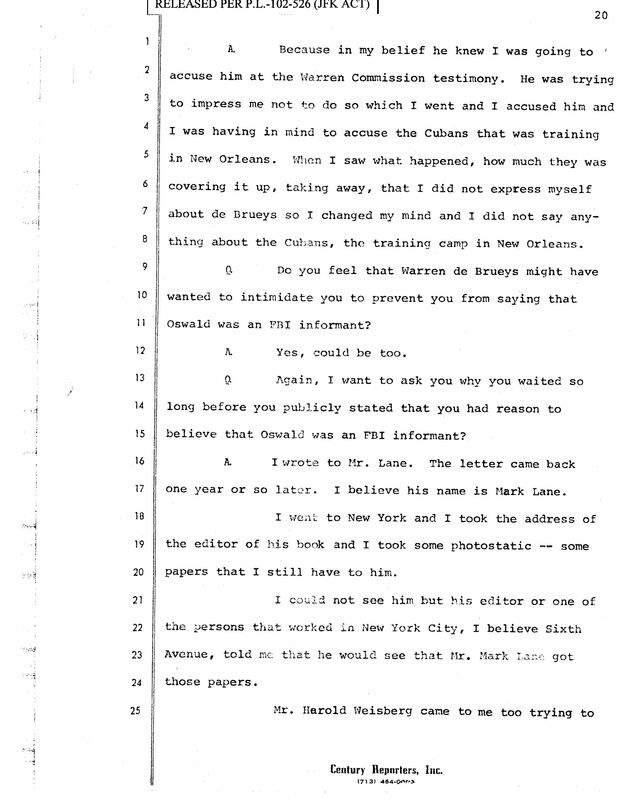 A very rare example of one senior (retired) CIA officer, James Angleton, describing statements made during sworn testimony for the record by another senior CIA officer, John Hart, as “slandered and perjured.” This memo is recorded against a backdrop of serious contention between those who wish to focus on Yuri Nosenko’s treatment by Agency authorities and those who want to focus upon his legitimacy. 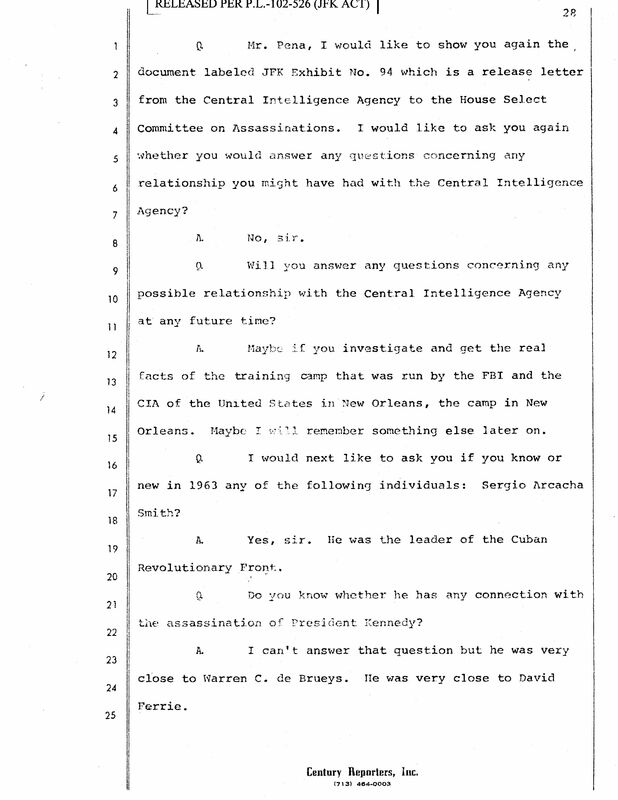 It is inconceivable that such a meeting would not be monitored by representatives of U.S. intelligence. 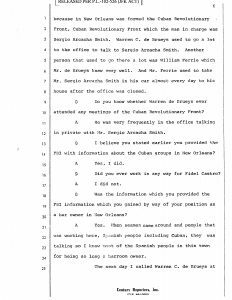 The FBI have their informant monitoring the meeting which leaves the two American lawyers “allegedly from Orlando” as the probable monitors. 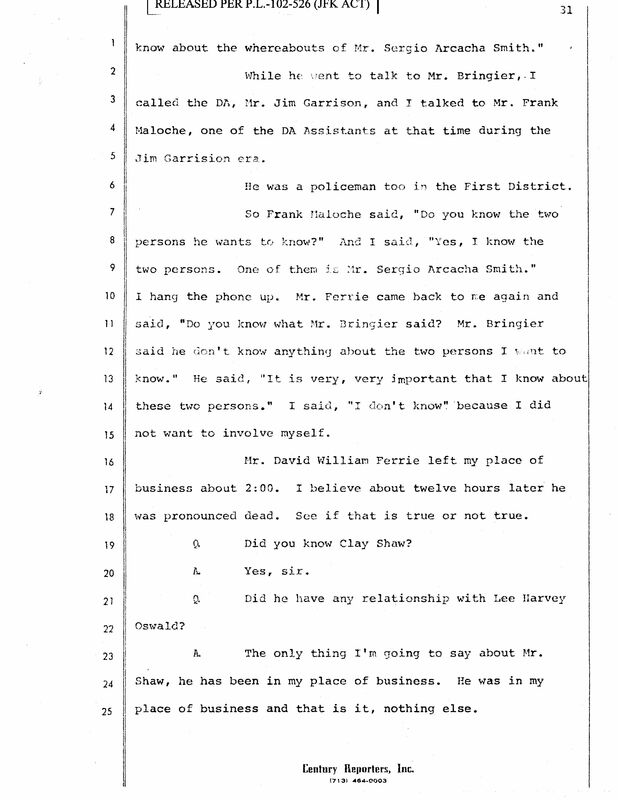 The FBI give us a great fat clue pointing towards Mr Bishop and Mr Petrie when they use the word allegedly. 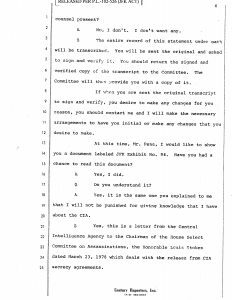 5 October, 2017: Three documents relating to HSCA interest in Yuri Nosenko and CIA’s willingness to accept the blame for Nosenko’s treatment rather than have HSCA pursue the question of bona fides. 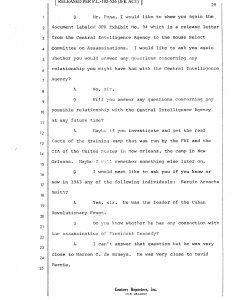 Document 1: Scott Breckinridge in paragraph 3 sums up CIA’s position on the HSCA interest in Nosenko; the indication that the harsh treatment to which Nosenko was subjected will be the focus rather than any investigation into his legitimacy as a bona fide defector. 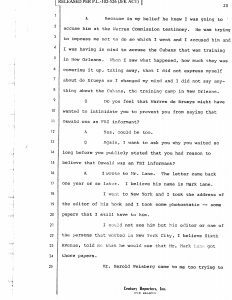 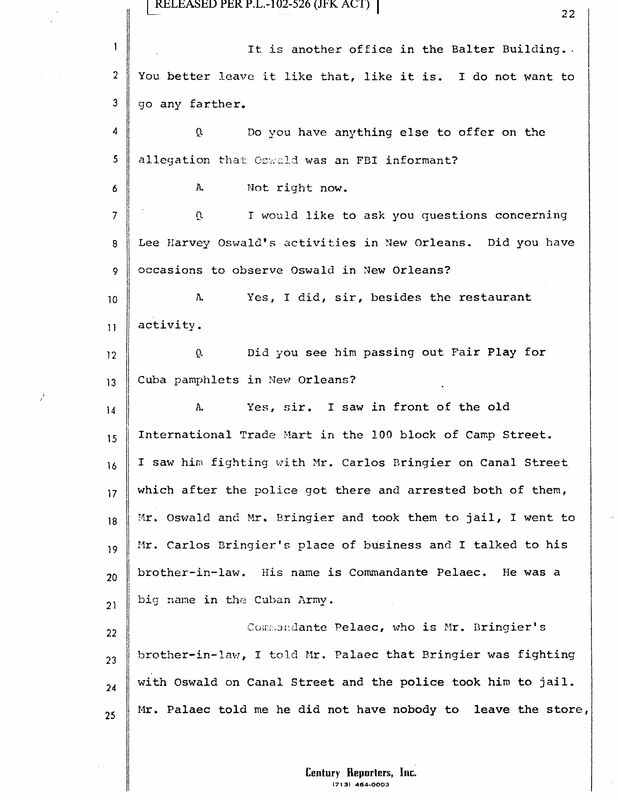 Document 2: CIA staffer Ben Pepper, a Len McCoy acolyte, gets very angry that CIA was caught hiding Peter Deriabin’s information about Nosenko’s summer of 1965 debriefs. 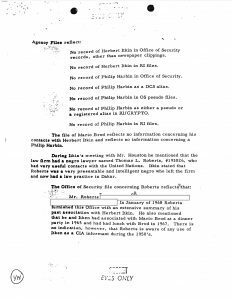 HSCA was concerned that the Agency would take action against Deriabin. 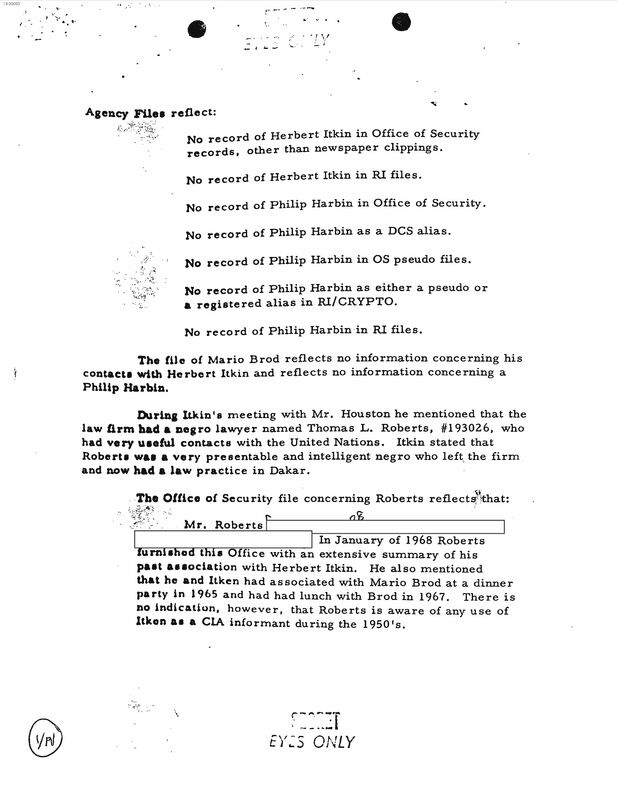 Document 3: G. Robert Blakey’s concern that Deriabin was under CIA pressure as a result of cooperating with HSCA and that Deriabin possessed transcripts from his summer of 1965 debriefs at which he sat down one-on-one with Nosenko for a period of 6 weeks. 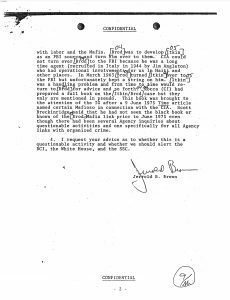 3 October, 2017: In these two documents, again from the Soviet Branch report on Nosenko’s bona fides, one is able to deconstruct the Casasin memo. 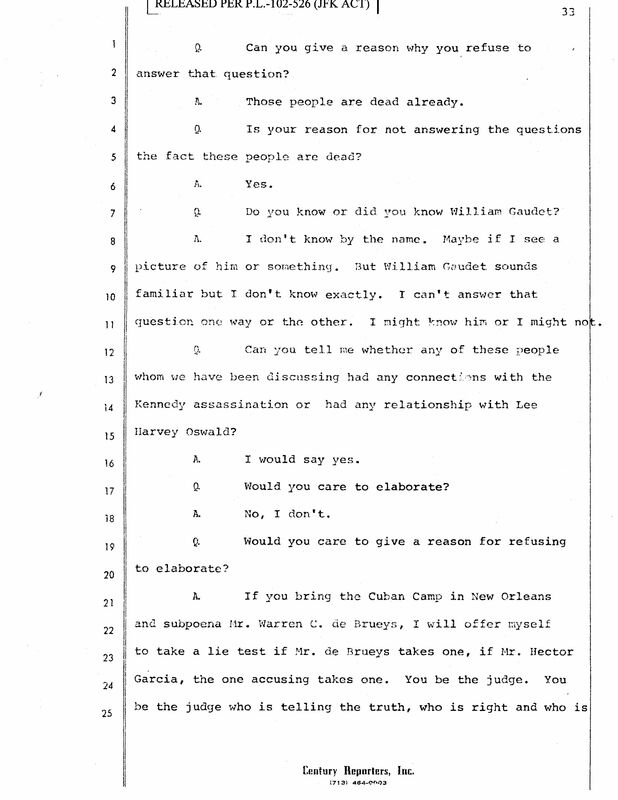 Here we see Philip R Nielson (AE/OCEAN 3) and his future wife Tamara Kungarova; Nielson was a CIA tourist agent. 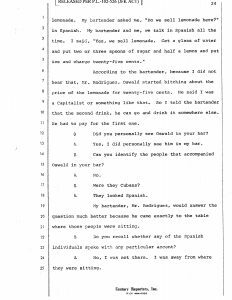 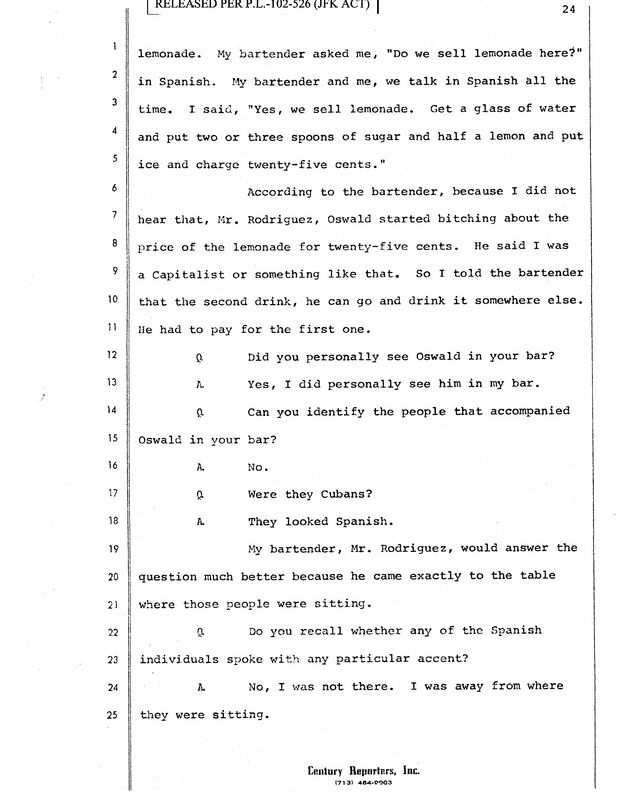 Interestingly, Nosenko gave up Kungarova’s name to his interviewers as being a KGB agent. 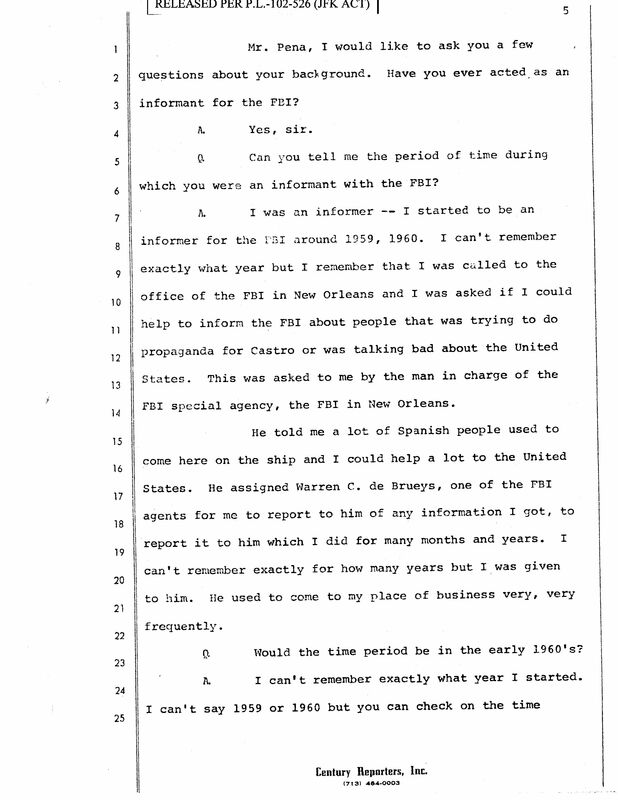 2 October, 2017: This document is a page from the CIA Soviet Division report on the bonafides of Yuri Nosenko and shows that the KGB months before Lee Oswald and Robert Webster defected had in their possession the “nuts and bolts” of both the U.S. and British tourist agent programs, aka the “Legal Travelers” program. 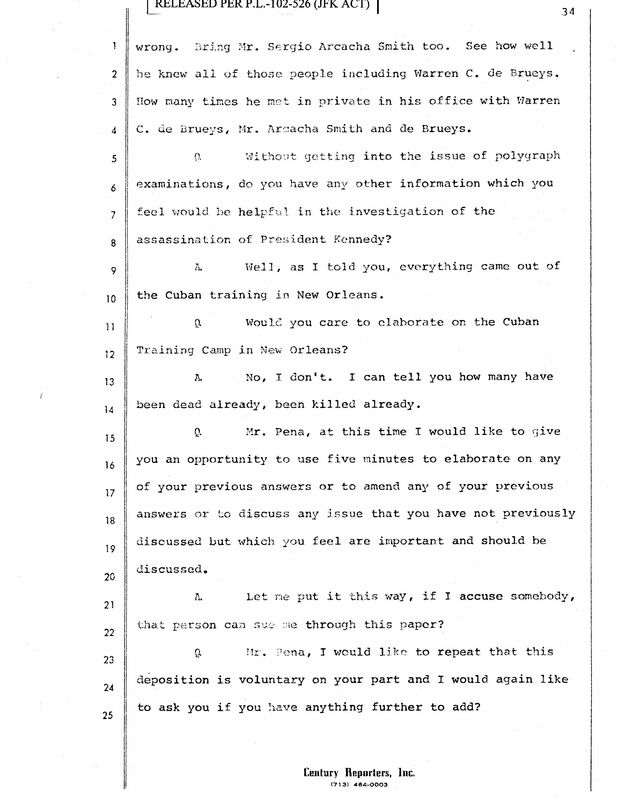 The importance here is that this is much earlier than published in some of the espionage tomes. 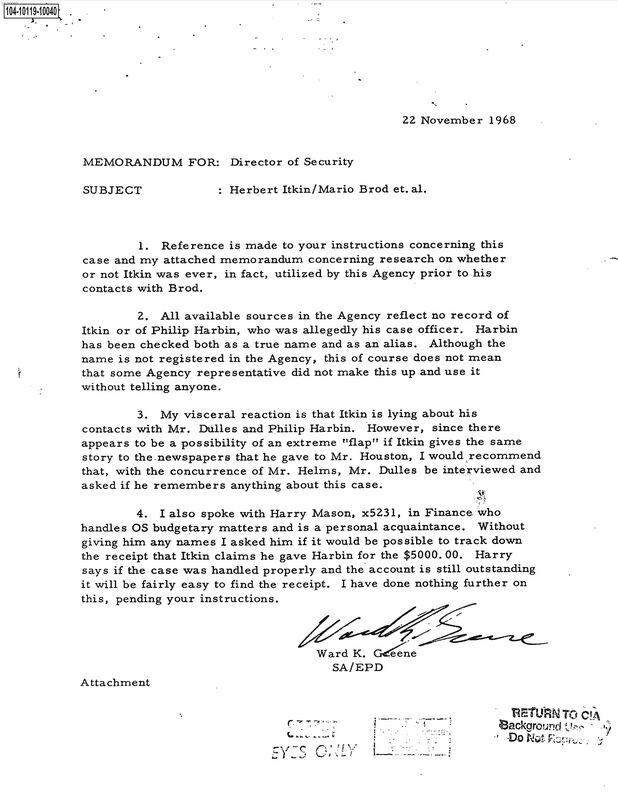 The British spy George Blake passed on this information following a meeting where attendees were briefed. 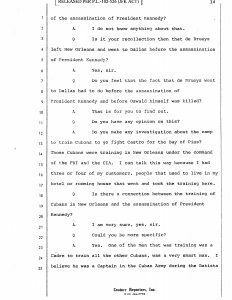 So we must look at Oswald’s defection with a different focus; in other words, KGB was prepared for Americans posing as tourists. 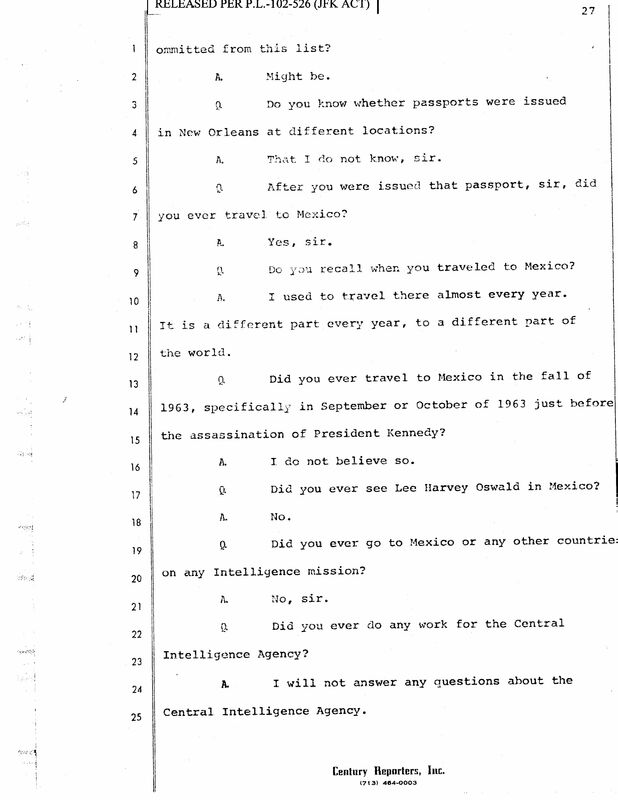 Whilst they clearly were aware of tourist agents prior to Blake’s treachery, they did not have the specifics. 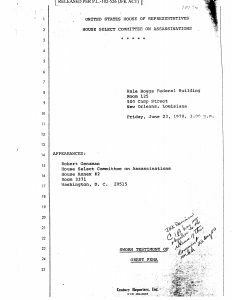 27 September, 2017: Courtesy of AARC Board member Malcolm Blunt: 5 pages which expose CIA policy in the 1960s and 70s relevant to understanding the deniability of utilization and employment by use of a specific classification. 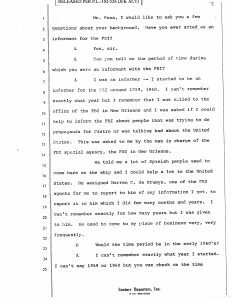 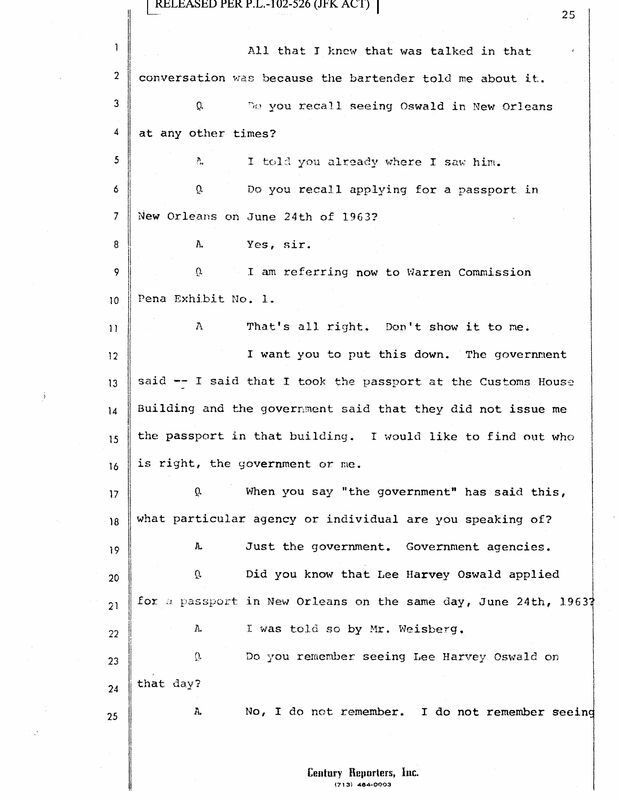 Students of Lee Harvey Oswald in New Orleans during the summer of 1963 will find a new light by which to consider reports that he was seen in the company of INS and US Customs officers.